Well, the next thing we see is $136,000 dollars of the Ta Ann budget disappearing into a lump-sum purchase of home grown wine, produced by Ta Ann’s own local Chief Executive – one Evan Rolley, formerly of the Tasmanian Forestry Department! The Muslim Chairman and majority shareholder of Ta Ann, Taib’s cousin and nominee Hamed Sepawi, was recently happy to be photographed glugging down the plonk, or something similar (see above) in the company of Japanese customers. According to local reports, Ta Ann purchased an estimated 300 cases of their Chief Executive’s own wine at $35 a bottle. 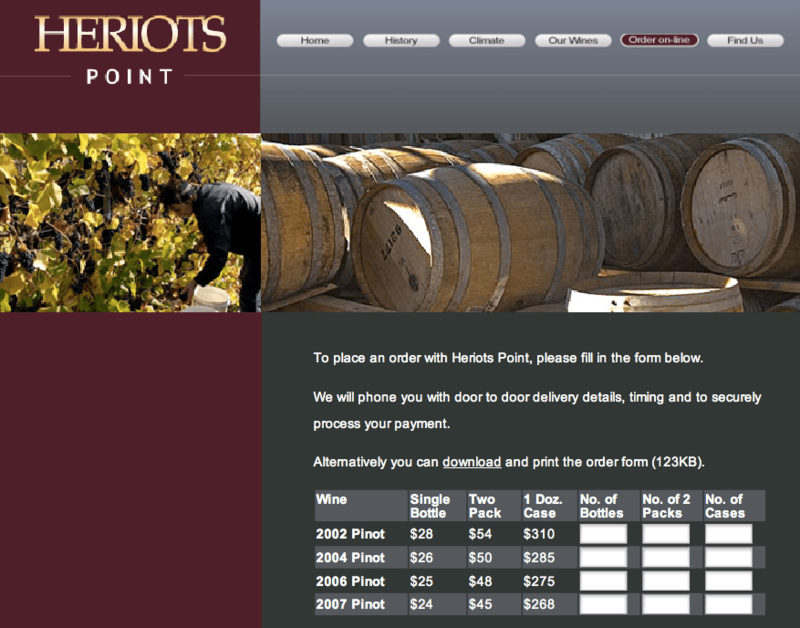 Since Evan normally markets his ‘Heriots Point’ wines at around $25 a bottle, it was clearly a pretty fantastic coup to get the publicly subsidised Ta Ann to buy 300 cases from himself not at a discount for such a large order, but apparently at a major premium! The matter represents a dual show of hypocrisy and blatant conflict of interest, which ought to bring Malaysia’s Sharia authorities down on Sepawi and Australia’s public auditors down on Rolley. But, whereas elsewhere in the democratic world such matters would normally cause uproar and resignations by sunset, in Tasmania people apparently just sigh. Tasmania – part of the free world or heading the way of corrupted Sarawak? The Australian government has continued to shell out money on Ta Ann ever since it paid the company to establish its first mill in 2007. This is despite the fact that the company’s owners have billions of their own money to invest, if they cared to do so. However, Taib (who is the actual controller of his cousin’s enterprises) has always been clear that he prefers to make third parties (like banks or in this case a stupid public authority) shoulder the burden of the investments, which he can then profit from. And the real reason for the Tasmanian operation has always primarily been to enable Ta Ann to disguise the bulk of its timber, plundered from the rainforests of Sarawak, as ‘eco-wood’ with Australian certification on the label. So, how come the Australians are being such mugs, supporting this ‘loss-making’ venture that is ripping out Tasmania’s own heritage forests as well? It comes down to politics rather than economics, of course. 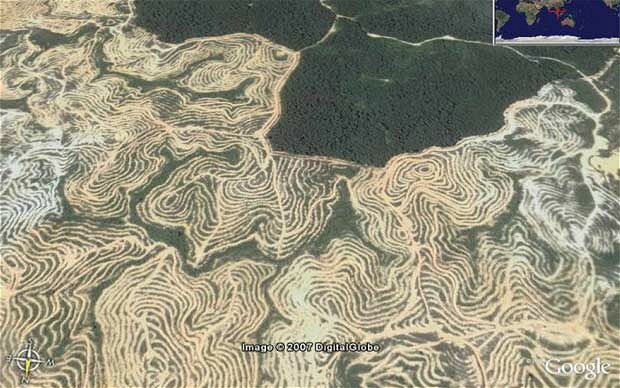 The construction of a new mill to chew up virgin forest areas (rights which were incidentally negotiated for Ta Ann by Rolley when he was still running the state’s Forest Department back in 2007) is designed to provide 120 jobs – although Ta Ann has a record of promising more jobs than it provides. 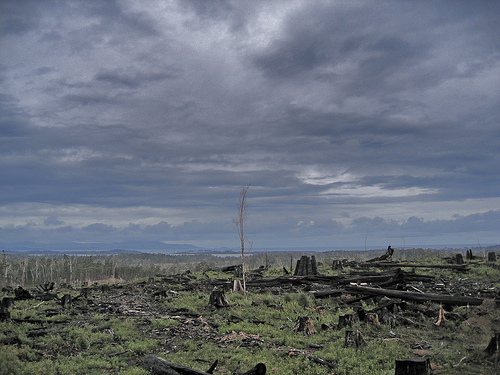 Conversely, previous handouts by the Labour government were justified on the basis that through supporting Ta Ann, the company so favoured by chainsaw enthusiasts, like Huon MP Paul Harriss and ex-opposition leader Bryan Green, it might be possible to reach a compromise and enact a Forest Agreement to at least protect a segment of the last remaining wilderness on the island. This was the approach supported by some influential green groups, including the Wilderness Socity. But, of course, far from honouring the Forest Agreement, the Tasmanian logging dinosaurs have now snatched the opportunity of a change of government to ditch it. Paul Harriss, who now glories in the title of Resources Minister, plans to get the reversal pushed through the State Parliament in the coming few days. It has made fools of the negotiators from the Wilderness Society and others, who thought they could ‘engage’ with Ta Ann and its political backers, in order to cap logging in the state. There are plenty who can say they told them so. 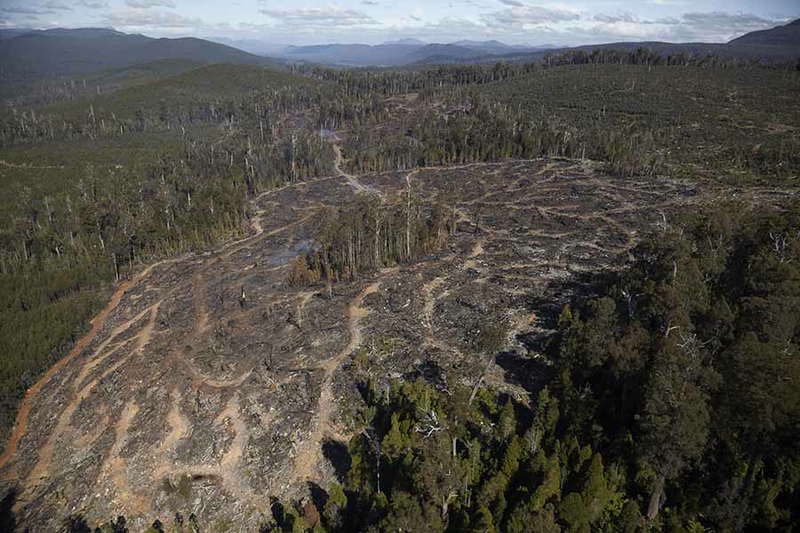 The move should lose Tasmania hundreds of millions of dollars in compensation for agreeing to protect a natural forest area of some 500,000 hectares, but Harriss is set on ‘reviving the logging industry’ instead – and all in favour of one company, Ta Ann. This is the same Paul Harriss, who has been flown out on several jamborees to Sarawak at Ta Ann’s expense and worked closely with the company from the very start of its involvement in the state. Harriss has loudly asserted that the Sarawak natives, who have endured the destruction of their lands through logging and oil palm plantations, are benefitting from ‘sustainable development”. 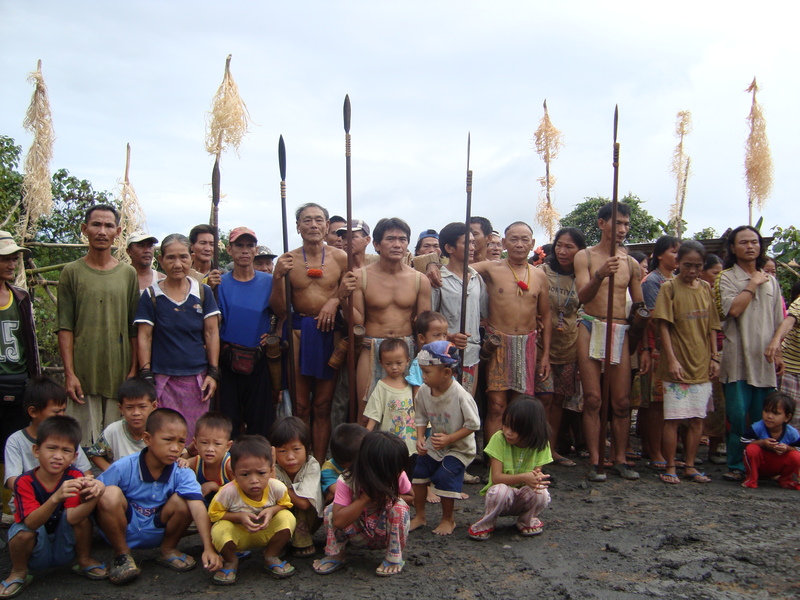 Sarawak’s native communities profoundly disagree with him – as well over 300 land rights cases against the Sarawak State Government testify. The fact that all Sepawi’s vast concessions were corruptly acquired, thanks to his status as the cousin and key nominee for the Governor, the billionaire kleptocrat Taib Mahmud, has also been glaringly overlooked by the Tasmanian MP. 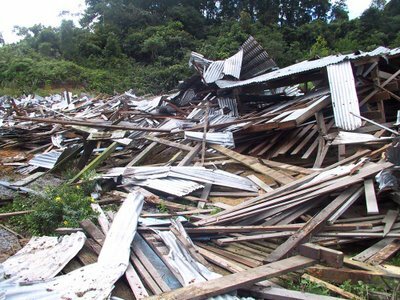 Mr Harriss might care to view this video showing just one example of the treatment meted out to villagers, whose long-established homes were in the way of one of plantations that Mr Sepawi 1/3 owns on behalf of his cousin Taib Mahmud. The Malaysian timber interests will be eagerly supporting Harriss’s plan to bring back logging to Tasmania. 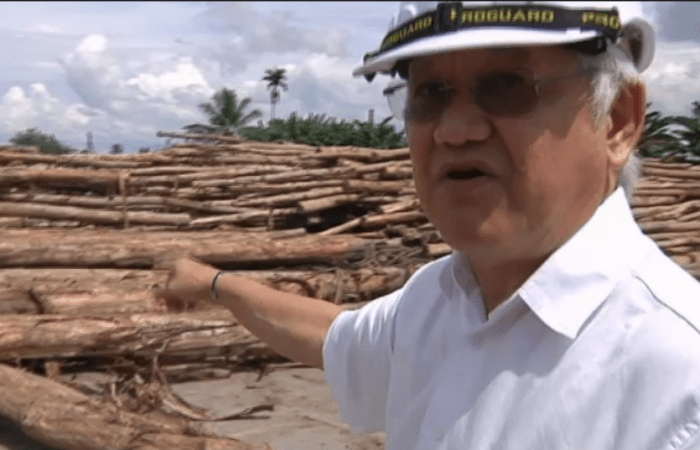 After all, cultivating local politicians and key officials to gain blanket concessions is exactly how the Malaysian timber mafia operates from the Amazon through the Congo to South East Asia. Just last year Mr Hamed Sepawi and his company Atlantic Resources were forcefully ejected from Liberia by Presidential decree for illegally acquiring, through corruption and bribery, concessions for around 1/4 of the forest area of this largest remaining stretch of the Congo. This is a mafia which is fuelled by huge, billion dollar profits made from the rampant and illegal destruction of Borneo – profits which have all been funnelled into a handful of politically connected families, especially Mr Sepawi’s. It is certainly a dazzling source of income for those individuals caught up in the spider’s web that Taib is now weaving in Tasmania. 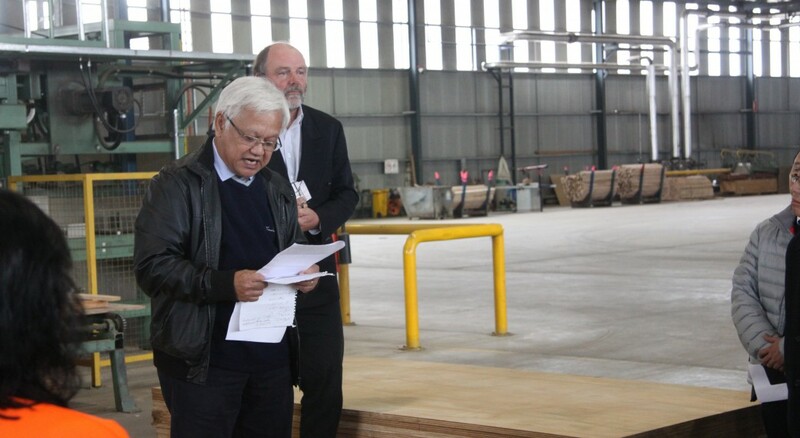 Hydro-Tasmania and state government employees have found lucrative opportunities in Sarawak’s controversial dam-building programme, for example, and for some in the forestry sector Taib’s billions represent an opportunity to make real money at a time when profits are hard to come by in this sunset industry. But, are these the sort of profits Tasmania really wants to be funded by? And do they want to do business with these sorts of people? Voters who are backing this hand-out of Tasmania’s rich resource to Sarawak’s timber mafia should certainly be under no illusions. The vast bulk of the profit that will be made out of exploiting their timber heritage in this way (and from their tax money in public subsidies) will go to Taib and his cronies, not the local community. Are Tasmanians happy about that? Because it certainly makes them look like just another bunch of third world victims – like the natives of Sarawak and Papua, the Congo and South America, whom Taib’s mafia are also exploiting by subverting the local politicians. Dirty money – don’t care? 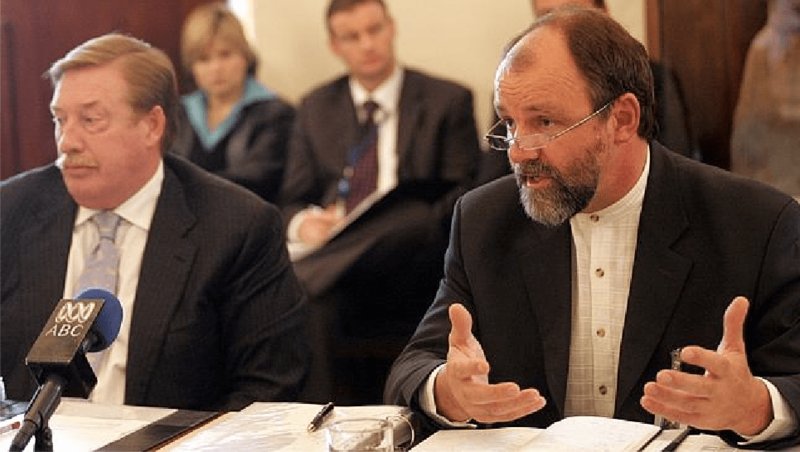 Despite the ample evidence of Ta Ann’s tainted connections, a key coterie of local politicians, who include Paul Lennon, Paul Harriss, Simon Crean (brother of Hydro-Tasmania boss David Crean) and Bryan Green, have championed the company consistently for years. It begs the question is there any source of money that Paul Harriss and his lobby would not consider accepting into the logging industry? Put another way, is there any crime from which they would consider the proceeds as an illegitimate source of funding? Because, Hamed Sepawi’s money and that of Ta Ann has come from political corruption and abuse of power on an almost unparalleled scale. The plunder of Sarawak’s timber and natural resources has come at the cost of the major abuse and exploitation of the indigenous people and their rights; the appalling destruction of the Borneo Jungle and is driving climate change, which will affect us all. This is well-documented and widely known and has been loudly and often repeated, not only on this site but by the world’s top news organisations and by all credible experts on the region. Taib is being investigated for his on-going pattern of corruption and exploitation by Malaysia’s own Anti-Corruption Commission – in a highly corrupt country that is saying something! So, does this not matter to Mr Harris and his pro-Ta Ann enthusiasts – have they no scruples when it comes to whom they introduce to Tasmania? Supporters of Ta Ann should also be wary of the contaminating nature of corrupt practices. There have been some very unsavoury aspects to the company’s links with its political allies in Tasmania so far. For example, when Hamed Sepawi himself publicly thanked two of his key political supporters for his publicly subsidised entry into Tasmania back in 2006, former Premier John Lennon and Forest Minister Bryan Green, he coyly pointed out that he had placed his two veneer factories in each of their two constituencies! Small wonder that the ‘Captain’ was soon spinning through the ‘revolving door’ from representing the interests of the public to becoming the head of Ta Ann’s operations instead! The co-opting of key politicians and officials is exactly how the Malaysian timber mafia operates in third world countries, so is that the direction that Tasmania is heading as it clings on so determinedly to its sunset logging industry? Evan Rolley has moreover been caught out on a straight mistruth in his championing of Ta Ann’s entry into Tasmania. From this repeated assurance back in 2006 ordinary folk (including committee members) would naturally assume that Ta Ann would only be using plantation wood and trees from re-grown areas of forest in the state – and had rejected fears they would destroy natural forests. However, whenever environmental campaigners and reporters subsequently pointed out that Mr Rolley’s negotiated agreement with Ta Ann at this time has actually permitted the company to access wood from huge areas of intact natural forests, the now Chief Executive of the company has cried libel! It turns out that ‘plantation and re-growth wood’ in Mr Rolley’s expert jargon actually means smaller and younger trees (of the size suitable for Ta Ann’s mills) within primary forests – not more expensive plantation wood which businesses all over the island might have been hoping and expecting to market to the Ta Ann mills. 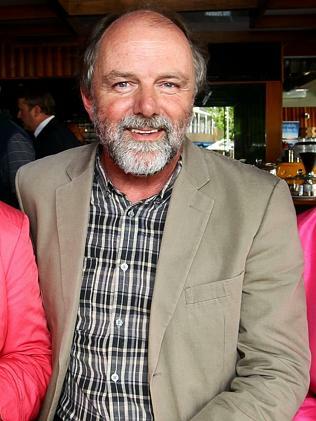 Rolley and his political backers have raged at all critics of his dodgy definition of ‘eco-wood’, even though in order to access this ‘re-growth’ material, the entire surrounding natural forest is being flattened and then burnt – all the “old growth” bigger trees (not suitable for the Ta Ann factory) included. Put simply there is nothing ‘eco’ about Ta Ann’s wood, either that which is sourced from Tasmania or from Sarawak. Those who have rushed to reassure the company’s Japanese customers otherwise are contaminating themselves through their association with this illegitimate and misleading enterprise. Tasmanians need to step back from their painful battle over the demise of a sunset industry in their state and consider the wider picture of getting involved with Ta Ann. Australia is one country that has apologised to native peoples for injustices of the past. Some of the worst of those injustices took place in Tasmania. Present day Tasmanians should bear no guilt for those past actions. However, if such apologies are to look half genuine, the state should take very good care not to associate itself with the present exploitation of the indigenous people of Sarawak and their resources or to court the investment of the profits of that blatant exploitation. By encouraging this association with Ta Ann and by courting Japanese customers to do likewise, Tasmania’s present leadership is doing just that. Ha Ha…. the 1% of Sarawak and Australia screwing the 99%.